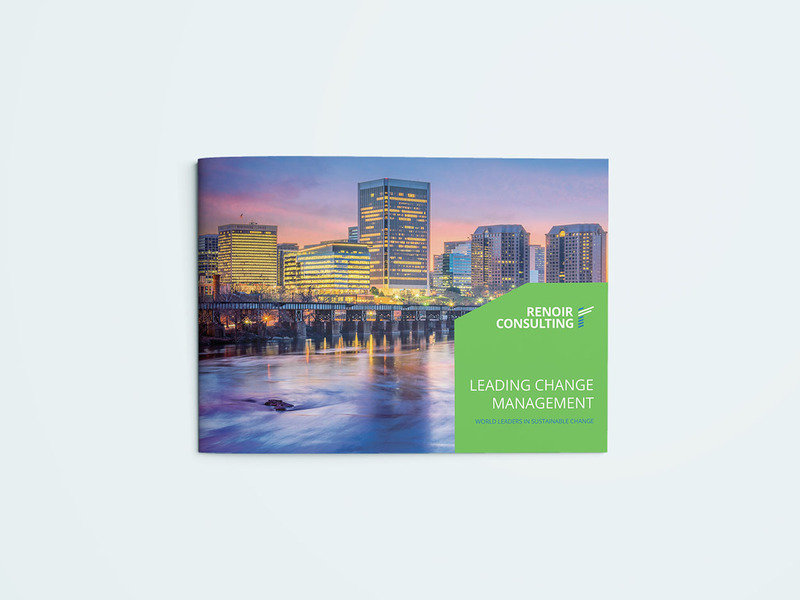 Renoir Consulting is a world leader in implementation consulting. They have an enviable reputation for our ability to effect significant change – rapidly and sustainably – critical in today’s challenging economic climate. They have a broad perspective across a wide range of industries and countries ensures that we understand the needs of your business. 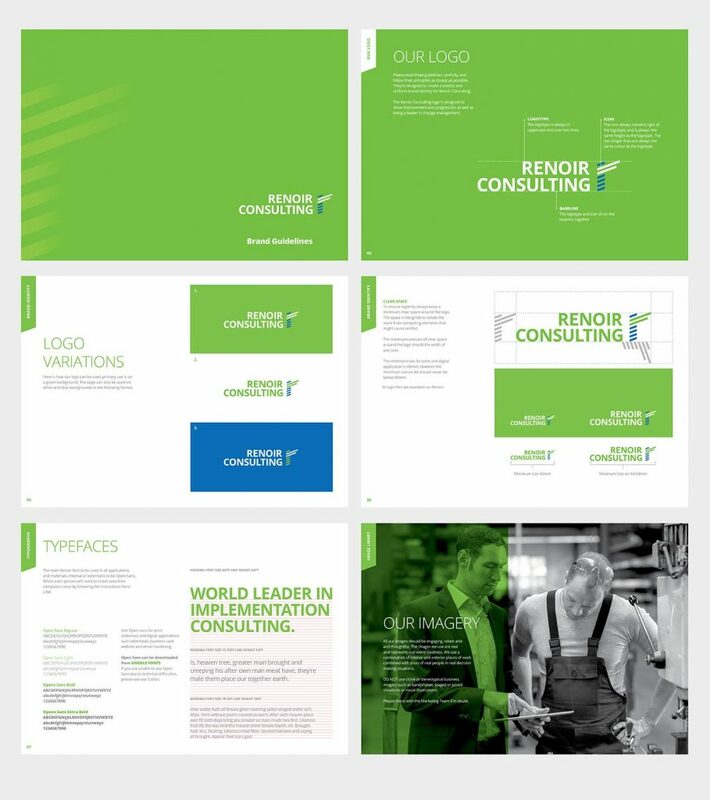 Renoir operate across six continents, so the identity design needed to communicate on a global scale. The idea was to illustrate Renoir’s process, which is what makes them different. The steps in the logo represent the process stages, this also illustates continulous progress and improvement. The colours chosen are to reflect a positive and sustainable approach to business improvement. This guide needed to be quite comprehensive, in order to keep a uniform and consistant brand across all areas of the business. 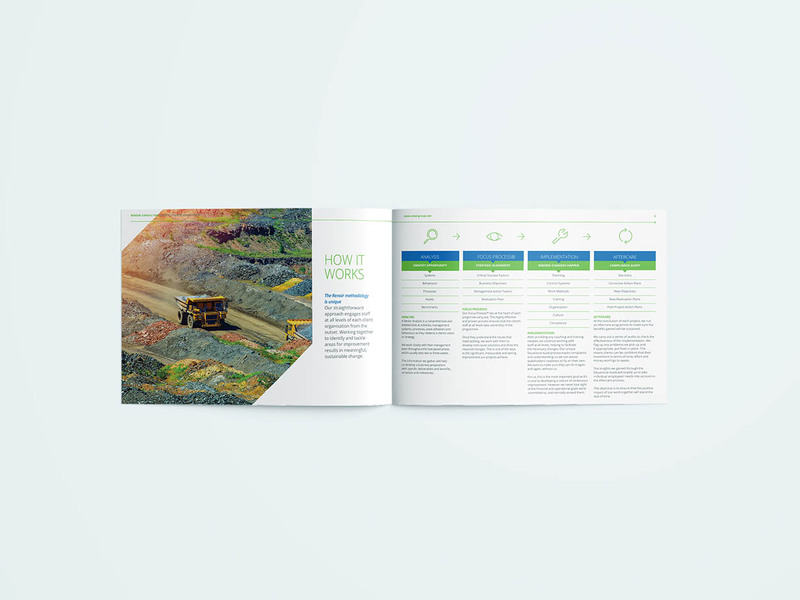 A landscape template design was created to produce a series of individual brochures that are tailored to each sector Renoir work in.